I thought readers might be interested to see original Axis material on which the intel reports were built. So here is a Fliegermeldung, an aerial recce report, in all its glory. The cognoscenti will recognise this as a NARA copy. If you click on the picture, it should load it in all its glory. The example here was a message dropped at the command post from the air, in order to expedite delivery. It would have been followed by a full report based on the interpretation of the pictures taken. But this would of course have taken some time, and not been available until hours later. Dropping messages from the air was a relatively standard way of delivering timely intelligence to German ground units. 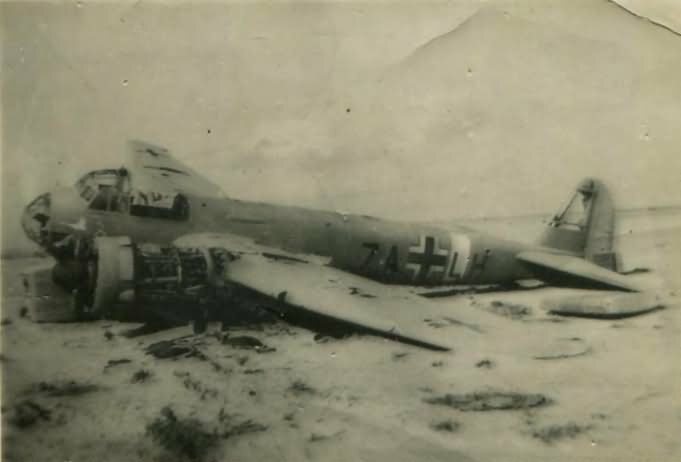 * 7A was the unit code for 1./(F)121, a long-range reconnaissance unit equipped with Junkers 88D-1, the long-range recce version of the Ju 88. GH was the plane identifier. Since the plane was based at Arco dei Fileni air field, it is likely that it was part of the Afrika Kette, a small group of recce planes permanently based in North Africa, while the remainder of 1./(F)121 was based in Sicily on 12 Jan 1942, at Catania, participating in the assault on Malta (see here). *** This is the first time I note an NCO observer, they normally seem to have been officers. 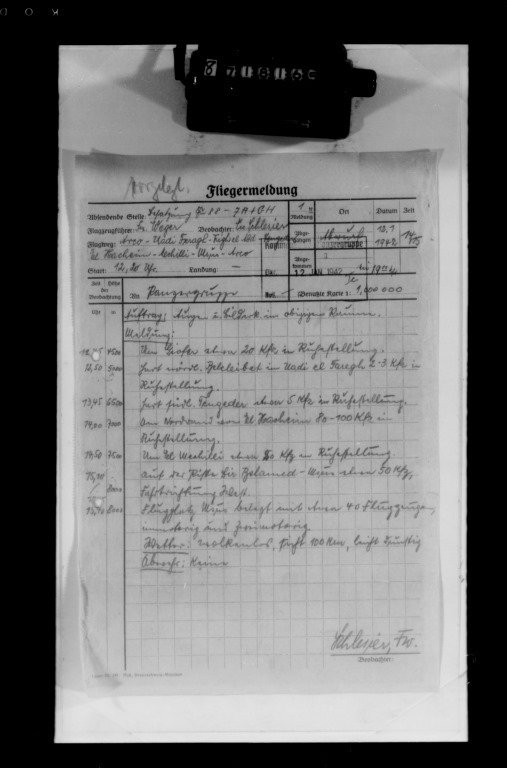 This entry was posted in Content, Intelligence Assessments and tagged aerial reconnaissance, intelligence, Panzergruppe. Bookmark the permalink.